Did you know that you may be able to earn college credit for your non-college or experience-based learning? 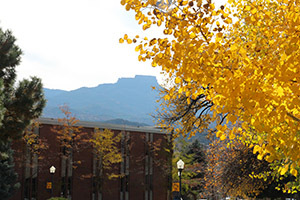 Trinidad State Junior College will accept in transfer from within the institution and from other state institutions of higher education prior learning assessment credit awarded for GT Pathways requirements. Trinidad State will not prohibit students from meeting general education/GT Pathways requirements with prior learning assessment credit. CLEP (The College-Level Examination Program) gives students of any age the chance to demonstrate college-level achievement through a program of exams in undergraduate college courses. Additional essay no longer required. IB exams are taken at the end of a student’s participation in an IB program at their high school. For more assistance on what types of exams Trinidad State Jr. College accepts, please contact the TSJC Registrar at 719.846.5550. If you have taken one of these standardized exams at another location, order an official transcript/score report and have it sent to TSJC for evaluation: Trinidad State Jr. College, Attention: Registrar, 600 Prospect, Trinidad, CO 81082. TSJC will designate equivalent courses for CLEP and DSST exams or a generic transfer equivalency if credits are not available. Institutional Challenge Exams are faculty-developed tests. They assess your mastery of the competencies for the TSJC course being taught. For more information about Institutional Challenge Exams, please contact the TSJC Registrar at 719.846.5550. Institutional Challenge Exams are the way TSJC abides by Colorado Revised Statutes 23-1-125 , which requires public institutions of higher education to offer students an option for testing out of core courses. Additionally, credit for learning gained in the U.S. military (if applicable to a student’s declared degree or certificate at TSJC) is generally transferred based upon ACE credit recommendations found on a Joint Service Transcript (JST) for current or former Army, Coast Guard, Marine Corps, or Navy personnel. Air Force personnel will have their credit documented on a Community College of the Air Force (CCAF) transcript. To be evaluated for possible credit, you should order your official transcript from the provider (JST, CCAF) or third party organization (ACE, NCCRS, etc.) and have it sent directly from the issuing organization to TSJC for evaluation: Trinidad State Jr. College, Attention: Registrar, 600 Prospect, Trinidad, CO 81082. Any GT Pathways credit awarded by one institution based on a portfolio review shall be accepted in transfer and applied to GT Pathways requirements at Trinidad State. For more information about portfolio assessment please contact the TSJC Registrar, 719.846.5550. TSJC may evaluate non-collegiate instructional programs that result in industry certification, professional licensure, apprenticeship completion, and other workplace skills development. Faculty subject-matter experts will evaluate the prior learning and identify if the learning warrants the awarding of credit. 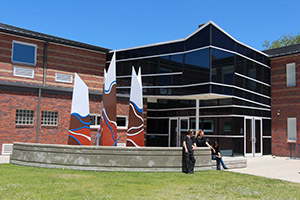 A state institution of higher education that admits as a junior a student who holds an Associate of Arts Degree, Associate of Applied Science Degree or Associate of Science Degree that is the subject of a statewide degree transfer agreement shall not require the student to complete any additional credits to fulfill general education requirements. TSJC permits transfer students to meet the institution’s two-course English Composition sequence with GT-CO1 and GT-CO2 credit. Additionally, TSJC permits transfer students to meet the institution’s two-course English Composition sequence with PLA credit. The Addendum clarifies requirements identified by the Accuplacer College Placement Test regarding test scores and placement. * You may use Prior Learning Assessment to fulfill all degree / certificate graduation requirements except for the mandatory residency requirements.